Buyers, Sellers & Property Management. 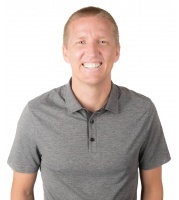 Tyson has been one of the top Real Estate Brokers in the Temecula Valley for the last 10+ years representing 60+ sellers/buyers every year and has a team that helps him manage over 250 properties. Tyson is happily married with 3 young boys. He enjoys spending time with his family, loves running, sports and traveling. Hi Tyson, I just came across your profile on memberagents.com. I'm interested in purchasing a home in your area and would like to talk to you about possibly helping me find a nice home to purchase. Please let me know if you're available to help out. Thanks!